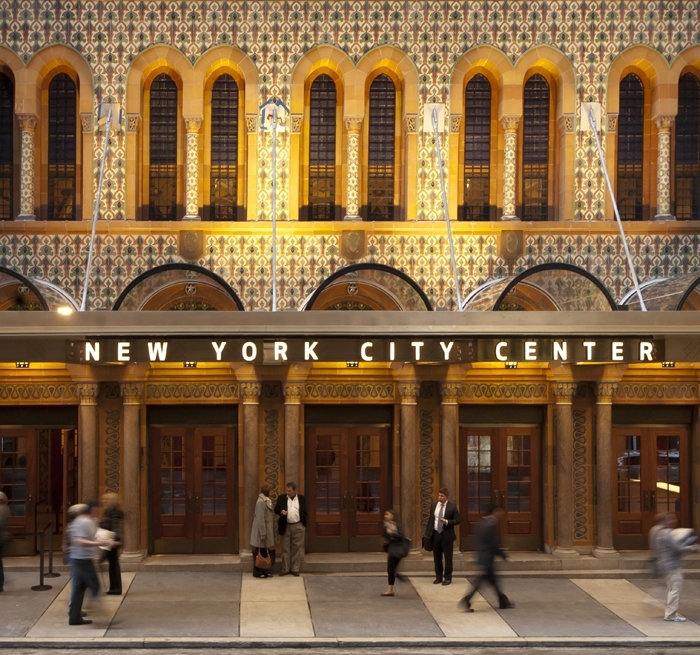 Originally constructed as the Mecca Temple for the Shriners in 1923, the New York City Center underwent a $75 million renovation to modernize the 2,257-seat theatre in 2009. The goal of the renovation was to maintain the Neo-Moorish character of the original building while bringing it into the 21st century. Auerbach Pollock Friedlander provided audio-video and production lighting system consulting for the modernization project. A key element designed by the firm is the video display wall feature for the main lobby. 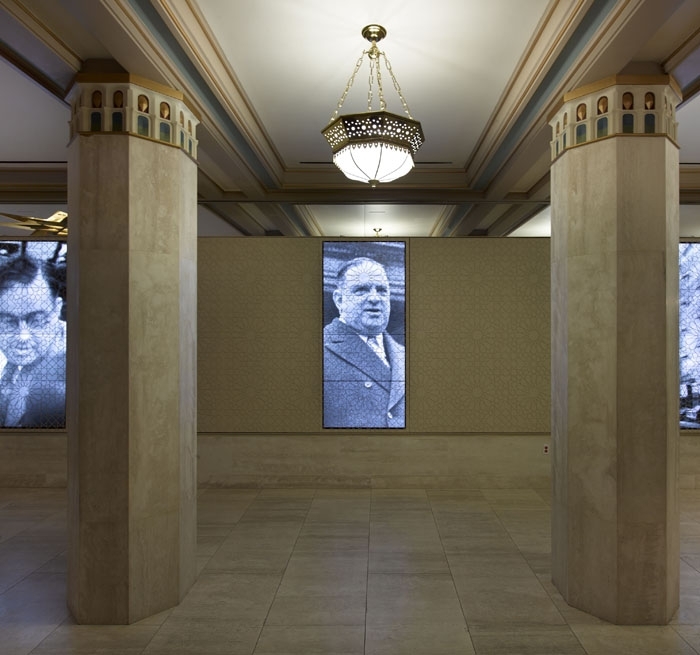 This art installation, providing continuous programming of special video in a partnership between the New York City Center and the New Museum, includes a total of six video wall columns, each consisting of 42” zero-bezel plasma displays mounted in a 1×4 vertical configuration. 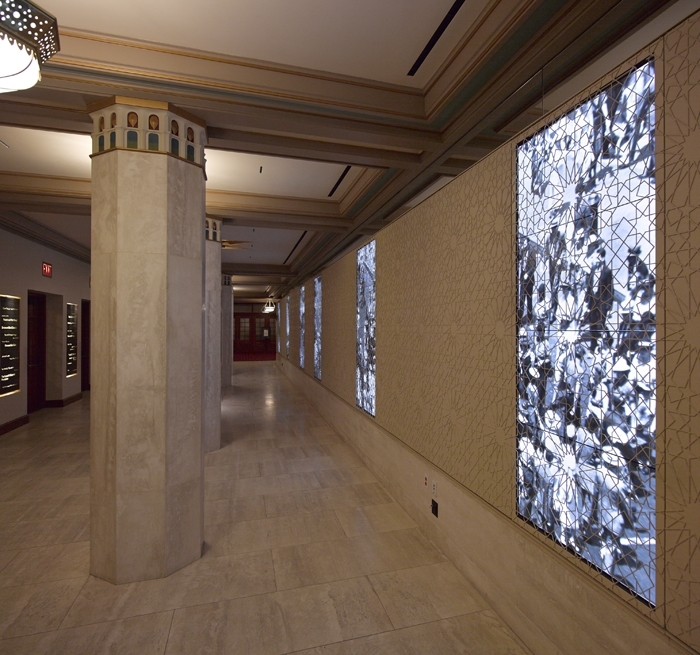 Computer controlled processing allows images to move seamlessly across the lobby walls from display to display, creating an engaging visual experience for the Center’s patrons. 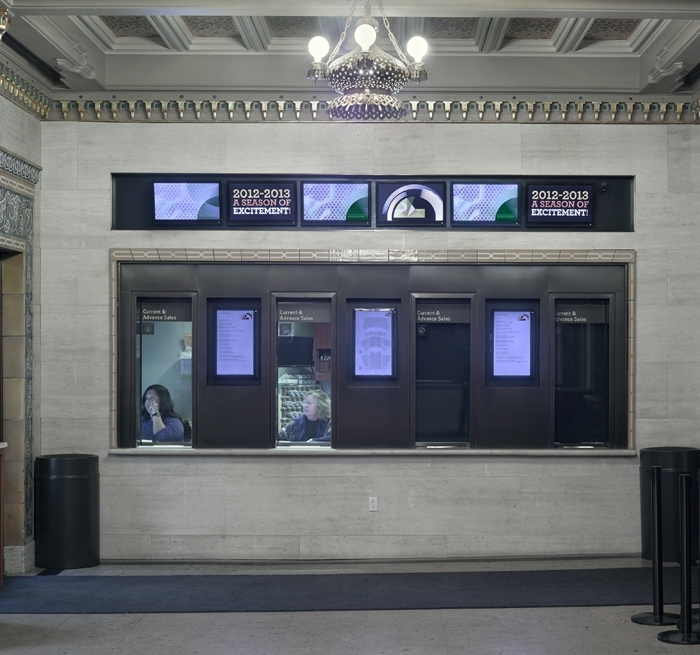 The box office video display system consists of 40” LCD monitors providing informational content and seating location graphics for patrons conducting ticket transactions; while lobby latecomer displays present information, signage, and the performance video feed. Each uses a combination of QAM modulators and digital video signage processors, all under remote computer control; with interconnectivity provided by a fiber and CAT-5E backbone capable of future expansion.